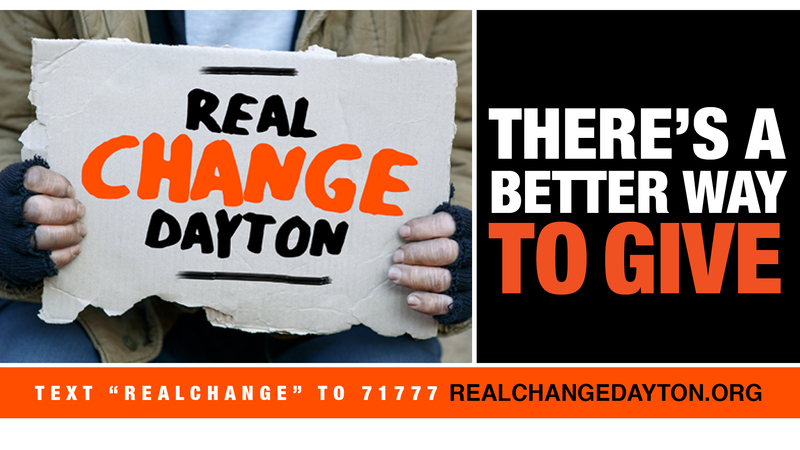 Real Change Dayton is a collaborative awareness program to address panhandling in our community. The primary focus is to educate the public on the resources already available that provide an array of services to those in need, including food, shelter, clothing and other support. The program also offers an alternative to giving spare change directly to individuals on the street. Money donated to Real Change Dayton will be invested in programs that focus on financial stability, positive health outcomes and emergency services. You can learn more about these programs by clicking here.